The most common type of fire sprinkler, wet pipe fire sprinklers are found in most homes and office buildings. With a wet pipe fire sprinkler, all the water is stored under pressure directly in the sprinkler pipes and is released by heat-activated sprinkler heads. The best thing about a wet pipe fire sprinkler system is that they activate instantly - there's no lag time between the fire sprinkler heads opening and the water being released. 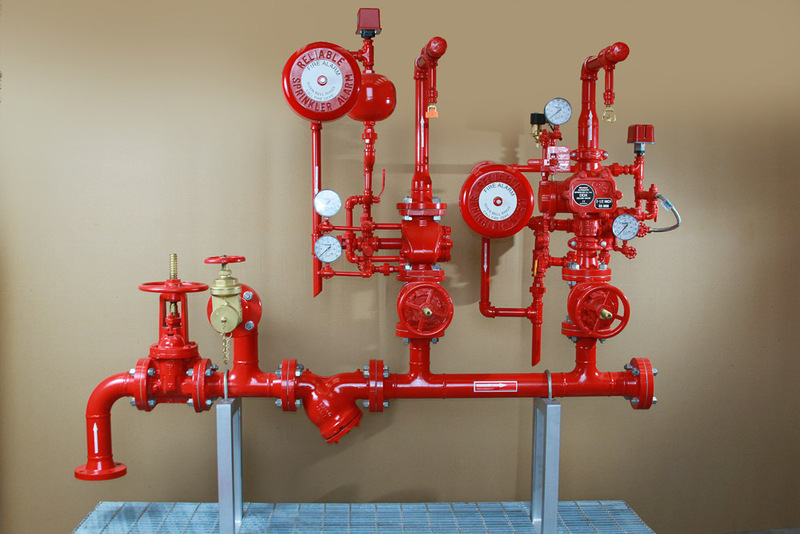 Dry pipe fire sprinkler systems are similar to wet pipe, except the water is not stored in the pipes. Instead, the pipes are filled with pressurized air or nitrogen gas. When the sprinkler heads open, the gas is released and a valve opens that allows water to flow out through the open fire sprinkler heads. This causes a slight delay in water discharge, but it is useful in buildings where water could freeze if kept in the pipes.